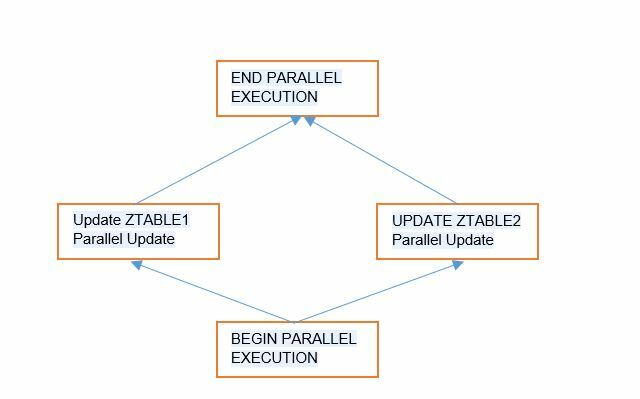 In this blog we are going to understand how to achieve parallelization in AMDP. In very simple terms, parallelization is to break the main task into smaller units and simultaneously execute them to achieve the results. Earlier DML statements and read-write procedure calls had to be executed sequentially, but now it is possible to parallelize the execution of independent DML statements and read-write procedure calls by using parallel execution blocks. Now lets see how to add in AMDP. Updating PRICE and CARRNAME in custom table. Just to understand what is structure of custom table and what values been updated, sharing below result set. Only concurrent reads on one table are allowed. Implicit SELECT and SELCT INTO scalar variable statements are supported. Mixing read-only procedure calls and read-write procedure calls in a parallel block is not allowed. you can share you point of view and expert comments. Very informative blog. You can also add the help link to the blog so others can go and check for more information.